It is the first Friday of the month and that means it is time to reveal the February Challenge. This month our theme is... "Love"! Be sure to stop back at the blog this weekend for the Challenge Winner Announcements for the Friday Challenge 83 - Anything Goes! Hello Quick Quotes fans! June here today hosting the February Challenge! 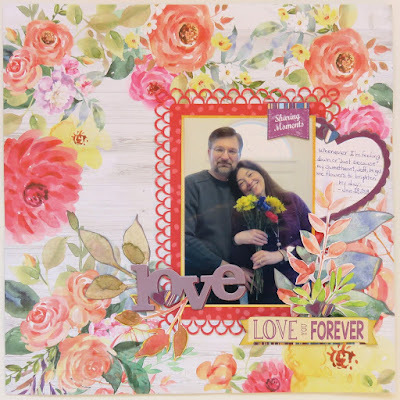 As February is all about LOVE, this month's Friday Challenge 84 is to use something you LOVE on your project. 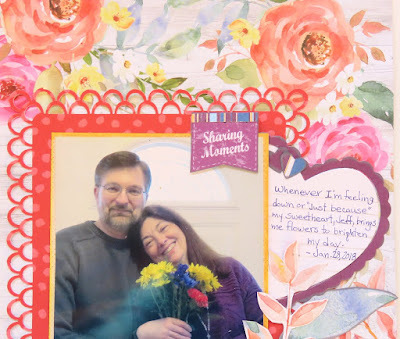 My page is about how much I love my husband. And I also love working with our new "Spring Showers" paper collection! 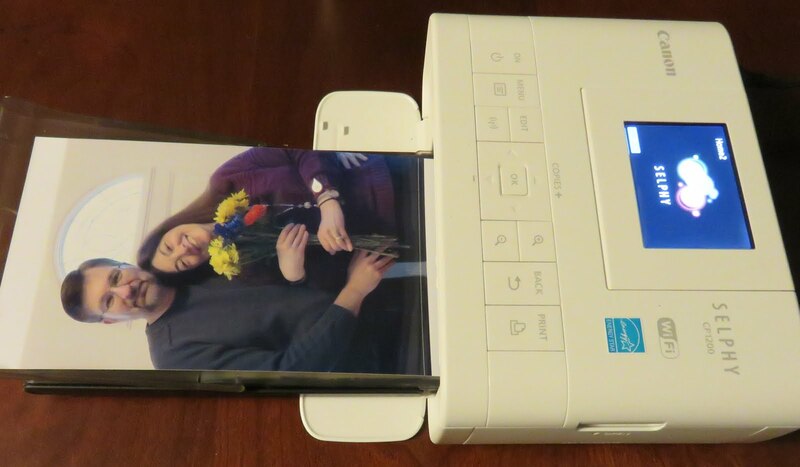 I started by printing the photo on my handy Canon Selphy Photo printer. The background paper is Spring Showers 100. 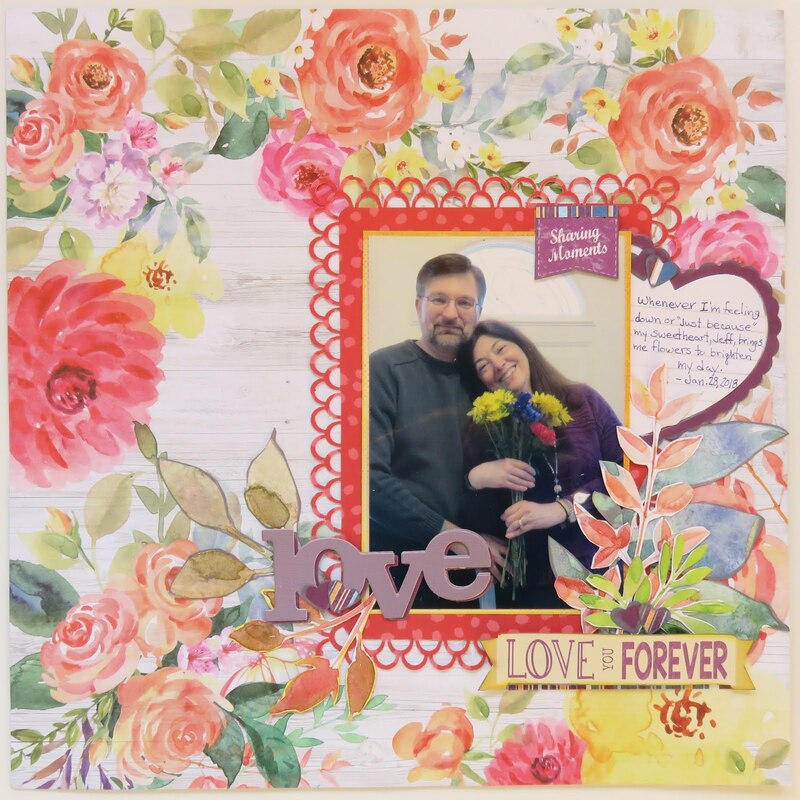 A border punch was used to create the frame from Spring Showers 104. I also added banner quotes and diecut heart elements for the Mulberry collection and edged with our new Purple Rain PowderPuff Chalking Ink. I love to fussy cut! The beautiful foliage was cut from the backside of Spring Showers 104 and edged with either Purple Rain or Lemon Shorbet PowderPuff Chalking Inks. This month's challenge theme is "LOVE". 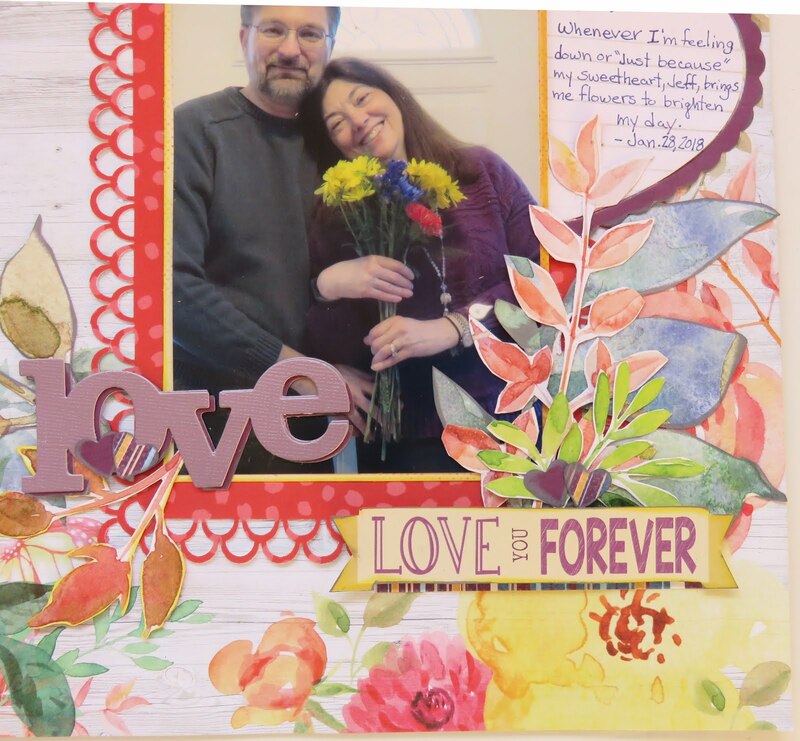 Create a layout, card, tag or off the page project that in any way includes the theme of LOVE - be creative! Challenge begins today and is open until 11:55 pm PST on 2/25. My gosh! So embarrassed! My project has been entered three times by mistake. Each time the link he said there was an error so I continue to try. If possible please remove two of the three entries! Again my apologies! No worries Pam, sometimes this tool does that. I will remove the extra entries and our apologies! Have a great day!